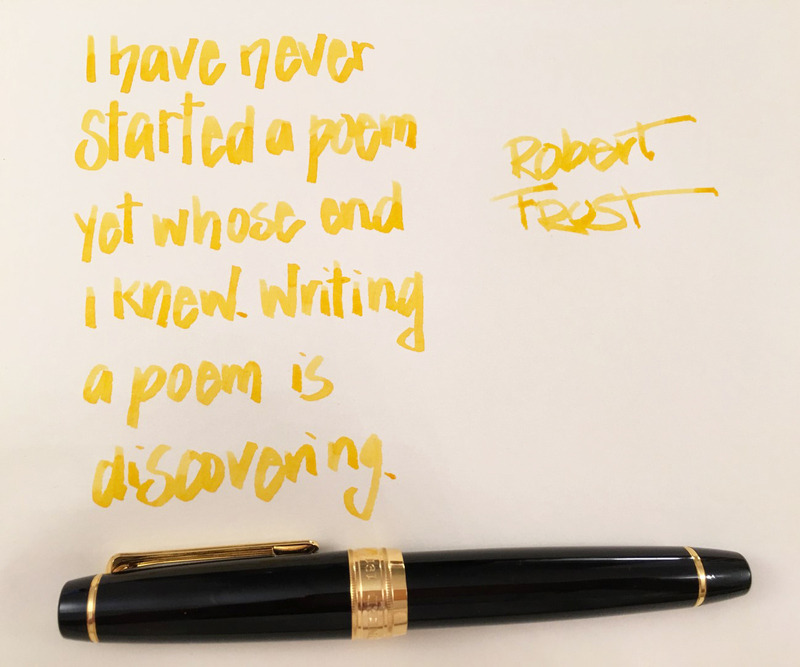 I’m not a writer but sometimes I just ink up twenty fountain pens and scribble words down, because I love the feeling of the nib on paper, of the smooth feeling of ink flowing, and then seeing all the colors at the end. This entry was posted in Ink, Vintage Pens and tagged Handwritten Post, Quotes, Sailor. Bookmark the permalink. Follow any comments here with the RSS feed for this post. Post a comment or leave a trackback: Trackback URL.